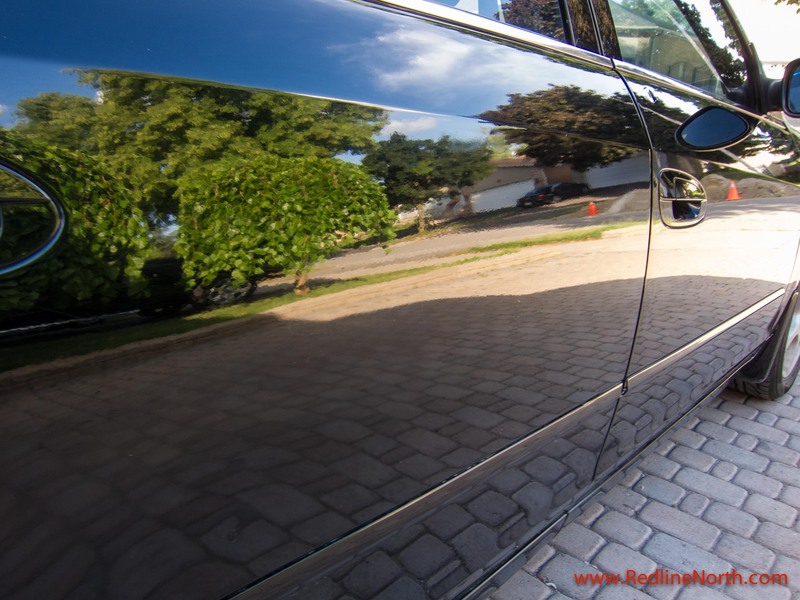 RedlineNorth recently had a chance to review goclean waterless carwash. While it might seem odd to have ‘waterless’ and ‘carwash’ in the same sentence, not according to Sunny Yashpal, founder of the company. Canadian visitors may have caught Yashpal on TV when he brought his product to the Canadian version of Dragon’s Den in the sixth season of the series. The premise of the product is simple, a carwash that doesn’t require water. How does it work however? According to the goclean website the carwash – contains plant based and biodegradable surfactants, lubricants and polymers that wash, wax, and protect your car. During the application of process, plant based soaps emulsify dirt particles and lifts them from the surface of your vehicle, while a natural polymer wax remains to keep your vehicle cleaner longer. Waterless Carwash beads water off the surface of your car, while dirt and grime have a hard time sticking around. Good in theory but does it work? 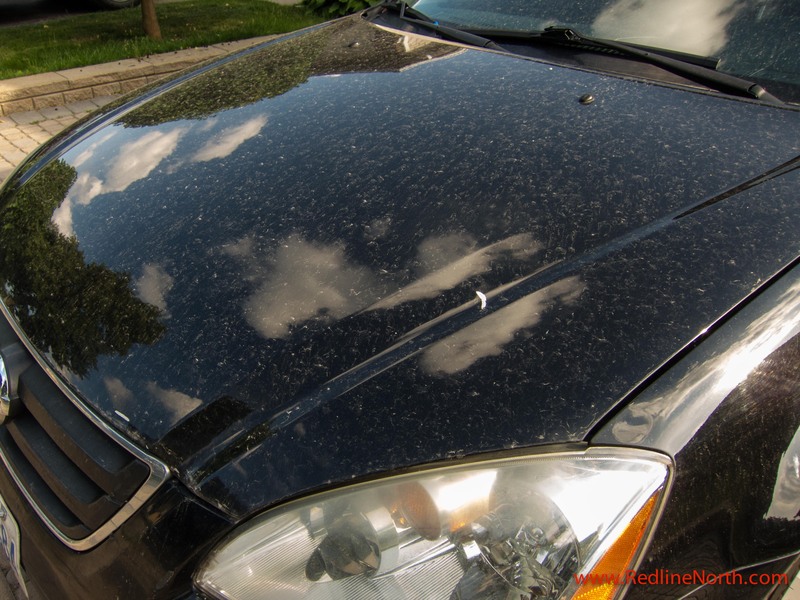 We took a 2003 Nissan Altima that had gone 4 weeks without a wash, and put goclean waterless carwash to the test. The challenge – three weeks of dirt and grime. At first it seemed counter-intuitive to spray on the solution and wipe it off with a microfibre cloth without the use of water, especially given the heavy build up of dirt and grime on the surface. However, it was quickly apparent that the product was removing the dirt without any scratches. The application is quick and ease – spray on, wipe off the dirt with a microfibe towel and buff with a second clean towel. We found additional pressure was needed for some areas with a stubborn build up of dirt to get it clean. However, any hand cleaning product would likely require this. The wash not only removes the dirt but also waxes at the same time. This is important to note when you are spraying glass. At the end of the wash we felt the product lived up to its name and cleaned the car well. It also took less time than a traditional hand wash as we skipped the rising and drying step. 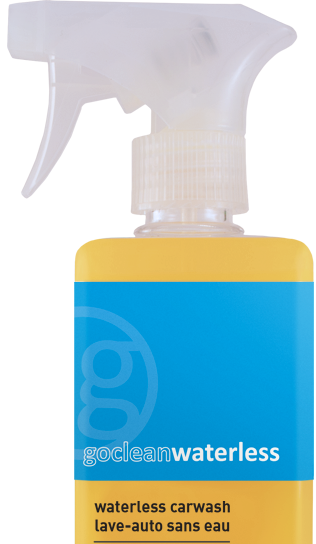 goclean waterless carwash comes in a 700 ml bottle which provides between 4-7 washes and saves up to 3000 litres of water. In our experience, the amount of washes out of one bottle is probably in the 4-5 range for a mid-size sedan, however, after repeated uses it’s likely we would use less of the product as one gains a better understanding of how much solution is needed. The carwash costs $12.49 CAD and is available from their website (shipping to both Canada and the US) as well as retailers across the country. Disclosure: One 700ml bottle of goclean waterless carwash and one package of microfibre towels were provided to RedlineNorth for reviewing purposes. This entry was posted in Review and tagged GoClean, GoClean Carwash, waterless carwash by northredline. Bookmark the permalink. Grate product. Worked super good. Scale of 1-10 I give it a 10. Only yesterday I was introduced to it and I am really satisfied. Again, Grate product.